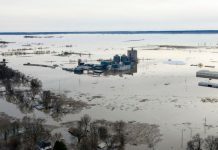 Wildlife specialists have spent the last three days picking up more than 3,700 dead bird carcasses from the shore in the Yolo Bypass, California. He took pictures and started to worry that something catastrophic was happening. 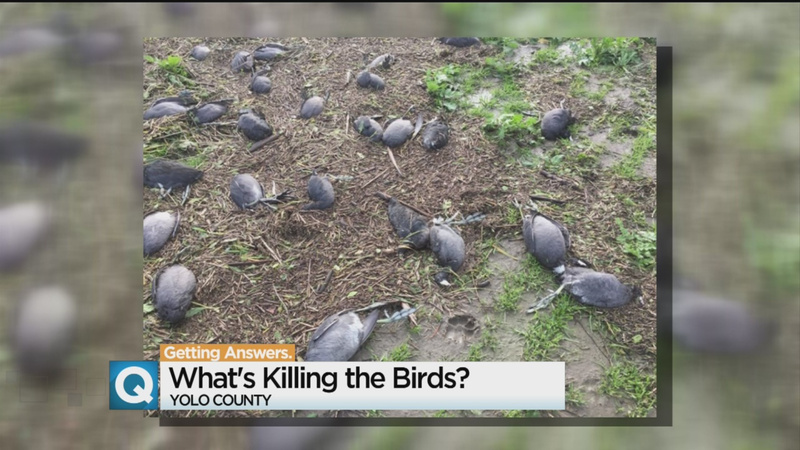 Jeffrey Stoddard, Wildlife Manager for the Yolo Bypass Wildlife Area, explained that dead American Coots caught a virus called avian cholera, caused by bacteria. It doesn’t pose a risk to humans but other birds can catch it. Why Did Nearly 4000 Birds Die In The Yolo Bypass last week? 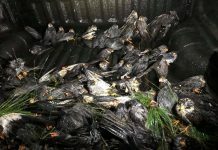 Other birds like ducks, geese and herons can catch the virus too, so the most important step for wildlife experts is collecting the carcasses to keep the scavengers from spreading it around. UC Davis has volunteered to incinerate the carcasses for FREE. This is a test! We’re next. New World Order !! 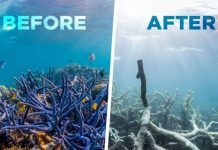 DO NOT ALLOW UC SAVIS TO INCINERATE THESE CARCASES!!! Why would anyone do such a thing, without doing thorough autopsies, unes they are hiding something. DEMAND THOSE CARCASES BE AUTOPSIED BY INDEPENDENT DOCTORS UNASSOCIATED WITH ANY LOCAL, STATE OR FEDERAL AGENCY!!! I think that we have the capabikity to do this in mass to humans. Cellphone towers, cellphones, etc are part of the grand plan.